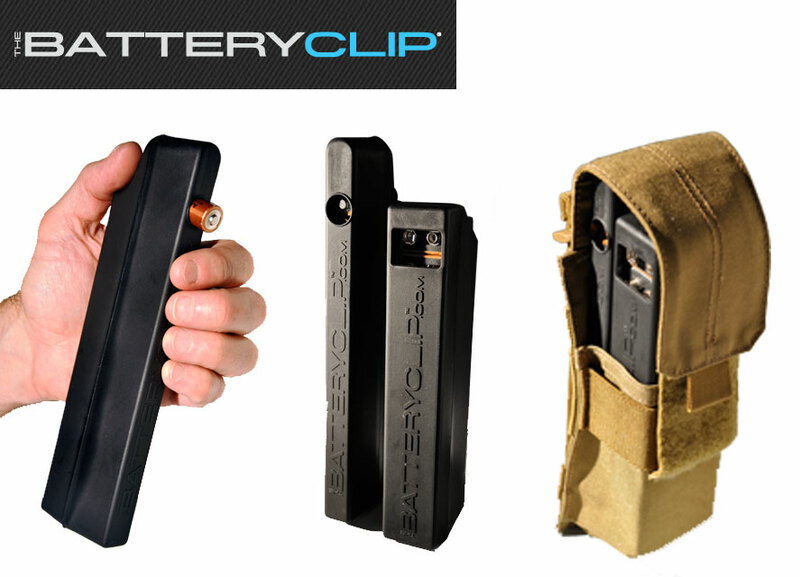 Similar in function to an ammunition magazine or “clip”, The BatteryClip not only organizes and protects batteries from dirt and accidental discharge, it assures that fresh batteries are available in an instant. $25 each over at the BatteryClip website. They come in AA, 9 Volt, and soon AAA versions. I’m unsure if they will release reduced capacity versions for the less friendly states. 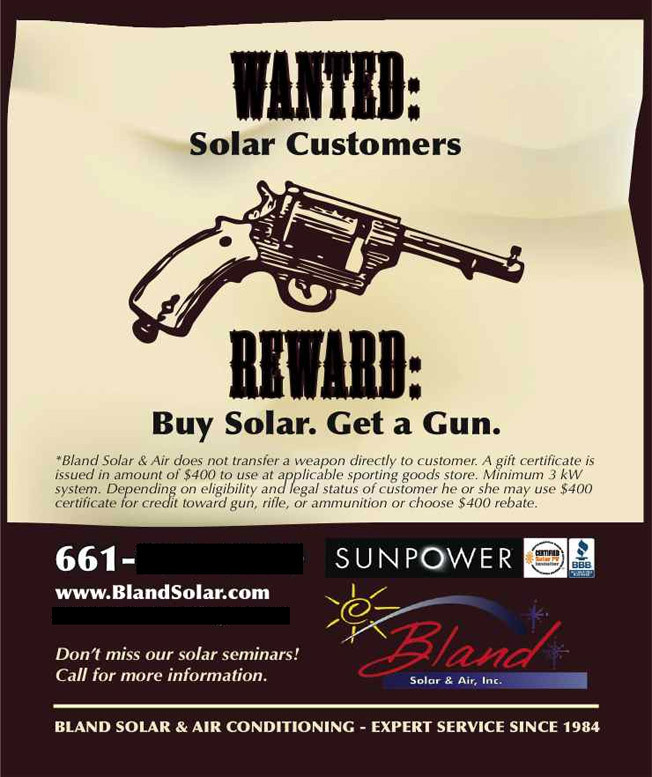 Holy, does everything have to have a gun related solution? I was going to make more fun of the idea of this, but then I realized that just the other day I needed batteries again for my Apple Keyboard (Yes this happens often because I spend like 20 hours a day on the computer eating Cheetos and trolling the internet) and I cut my thumb knuckle on the sharp edge of my Costco Kirkland blisterpack full of batteries. It was a rough day which will go down in blogging history my friends #NeverForget. A battery clip in my life will no doubt prevent future tragedies. I’m just really hoping someone takes advantage of this whole “battery clip” (magazine) idea and makes a gun to fire the batteries. 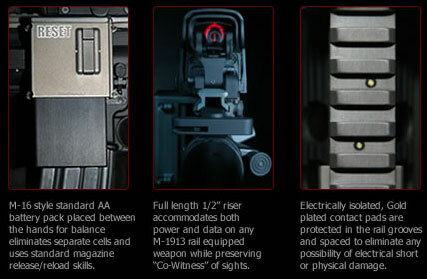 The clips (magazines) even fit in standard rifle mag pouches… how operator is that?! 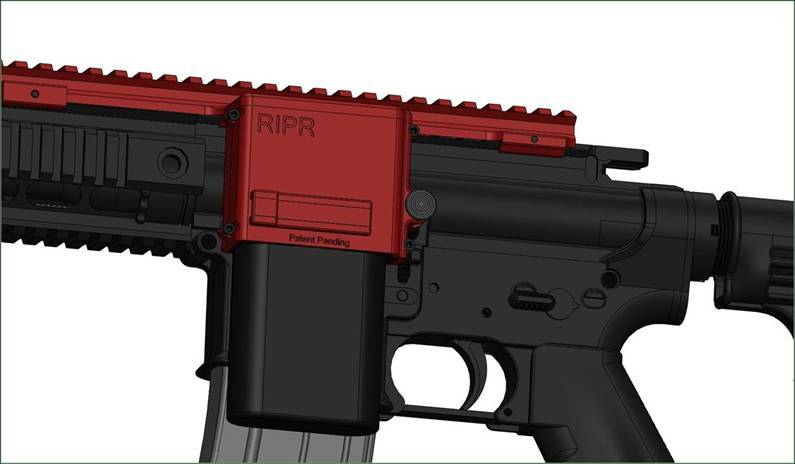 As you can see in the first picture, it appears that their powered picatinny rail piggybacks your existing picitainny rail, and delivers power via that 20 round magazine looking battery on the left. How are the accessories getting power from the “Gold plated contact pads” that are along the rail? Would users need to purchase some sort of adapters from you, in order to use their current weapon accessories? If so, what is the cost? It says the rail is powered by a “standard AA” batery pack. Does that mean there is a handfull of replacable AA batteries inside that larger pictured unit? Can the weapon accessories still be powered with regular batteries in case of a catastrophic failure? 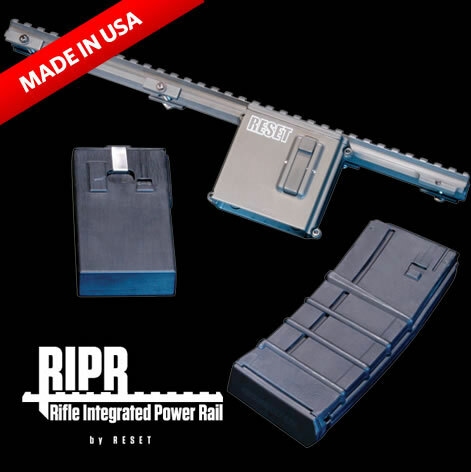 Are batteries able to be kept within the weapon accessories while being powered by your rail? What is the weight of the entire system including the battery? I wrote an email to Reset Inc. and will post the answers as soon as I hear back from them.